With Season 6 right around the corner, competition is about to heat up! Details about the Fall Skirmish below. Beginning in October, we’re opening up inclusive competition, where everybody can play and compete. To make that possible we’ve had to harden and scale our systems and infrastructure. For example, August was Fortnite’s biggest month yet, with 78.3 million of you showing up to play. This exposed weak points and allowed us to make targeted improvements to critical systems, such as stats and servers. The Summer Skirmish also, as you all probably noticed, highlighted problems with performance and spectating, which we’ve been working on ever since. We’re excited about kicking off the new competition system and we’ll have details dropping in the weeks ahead. On to the Fall Skirmish! 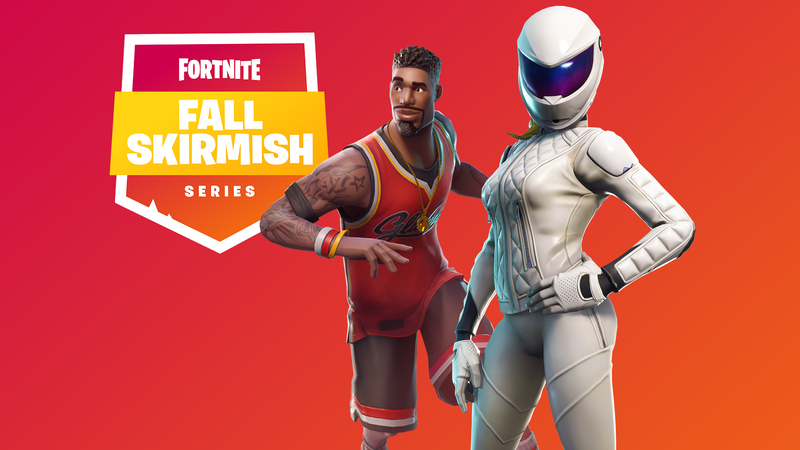 In our previous blog we mentioned the Fall Skirmish will include a variety of play formats each week. All Skirmish long we’ll be iterating on broadcast tools, new weekly formats and using that information to help inform our decisions for future competitive events and the Fortnite World Cup. We’ve invited over 500 Fortnite community creators and competitors and divided them into 5 distinct Clubs. Each player will represent one of these Clubs for the entire 6 weeks of Fall Skirmish. We will have a complete breakdown of each player and their Club on our official Fall Skirmish website. We took a number of learnings from the Summer Skirmish series and are bringing back some formats you may remember from the summer competition. We’ll kick off Week 1 this Friday at 12:00 PM EST with Group 1 play, and follow up at 4:00 PM EST with Group 2 play. Outside of the familiar Friday competitions, we are also introducing weekly trials for select members of each Club to complete in order to earn additional points for their Club. As always, expect Fall Skirmish to continue to mix up the formats each week with subtle changes to the Friday competitions and more extravagant changes to the weekly Trials. The Fortnite team will continue to update this blog with upcoming formats for the high skill competitions and trials each week. Interested in securing your spot in the Fall Skirmish on one if the five Clubs? Submit a short video clip on your social channels illustrating your dedication to a Club using the following hashtag to represent your club. We may induct a few new faces into the Fall Skirmish from the most dedicated Club supporters.